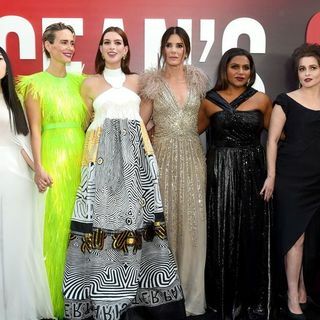 Katie, Stevie and Claire discuss new heist movie - and the latest female reboot - Ocean's 8. Hear from stars including Sandra Bullock, Cate Blanchett and Helena Bonham Carter. Katie talks about the two best gigs of her life which both happened in the last fortnight and we go back in time to when John Travolta was on the press tour for his film Battlefield Earth, which wasn't brilliantly received.